With three, count ‘em, three toddlers (twin boys and a girl all around 16 months old) in the family at the moment, I am always on the lookout for some great gift ideas for them. 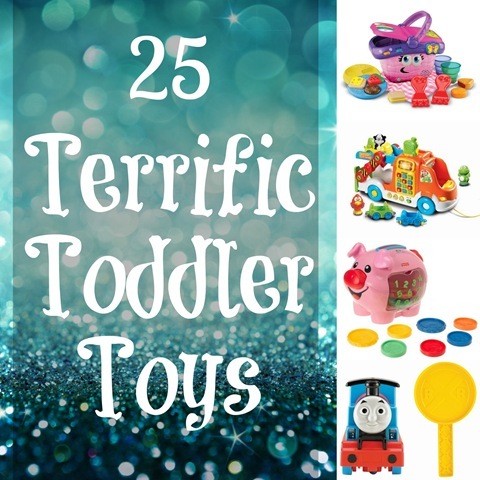 I really had fun compiling this list of 25 terrific toddler toys. These toy companies always amaze me with their creations. There are so many fantastic, fun toys to choose from! I think my new favourite toy is the Piggy Bank. What is your favourite toddler toy?